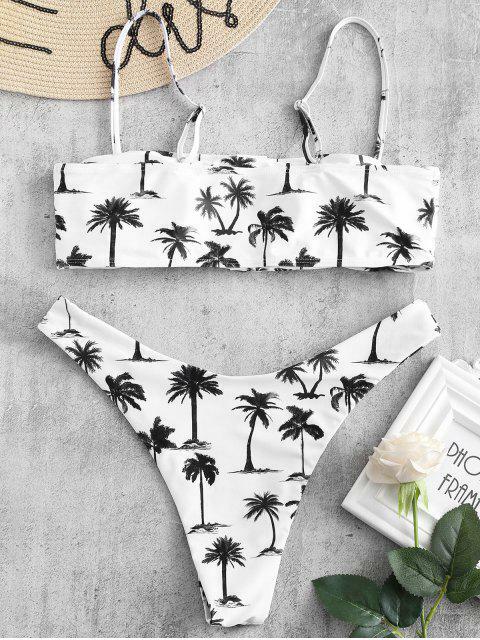 [35% OFF] 2019 ZAFUL Coconut Palm Buttoned Reversible Bikini Set In WHITE | ZAFUL ..
Super cute! I’m 5’3 and am like a B cup I think and I bought a Small! Bottoms r so cheeky lol but I was expecting that! The top is sooo cute I love it and it fits so good! The material is rlly nice and overall a great suit I love it! Super cute suit! Fits well, true to size, looks like the pictures. Love it. Hit the beach in this Hawaii bikini set! Featuring a bandeau design and buttons detail, and the high-cut bottoms are reversible as one side features a coconut palm print and another is solid hue style, it is very comfortable to wear so you can totally relax and soak up the sun.